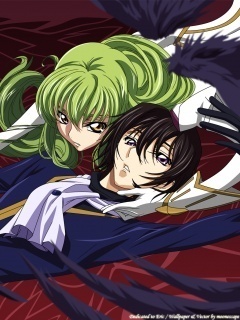 Lelouche & C.C. . Wallpaper and background images in the Code Geass club tagged: code geass. This Code Geass photo might contain anime, comic kitabu, manga, cartoon, and mkono. Code Geass OST Track 13 "Masquerade"